Whether you’re new to the sport or looking to upgrade, finding the best scuba gear can be an overwhelming task. Because scuba diving is such a popular sport, there are a lot of different brands producing gears. Being so spoiled for choice can make finding the best scuba gear a challenge. You can spend hours reading through hundreds of reviews for a single item to find the right equipment. This can be frustrating. We know, because we’ve been there! To make things easier for you, we did the research—so you can spend more time in the water, and less in front of your PC. In our experience, if loads of professionals are all giving favorable input on a piece of equipment, chances are it’s the best scuba gear. There are always going to be ratings that exaggerate just how good (or bad) something is. But that type of review is a minority, so we were able to filter them out for you. We read thousands of reviews in preparation. 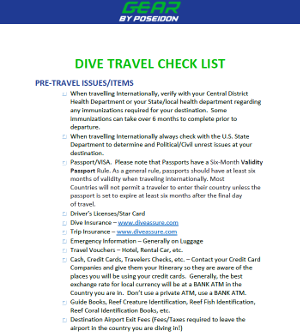 That’s why we’re confident that the following items are some of the best scuba gear available in 2019. Atomic Aquatics has featured favorably on several authoritative review sites, and users speak highly of their products. It’s no wonder that their Venom Mask is considered one of the best scuba gear items available! The Venom mask is a blend of Atomic’s SubFrame and Frameless mask designs. The relatively low profile of the Frameless mask is there, but so is the SubFrame’s internal frame molded beneath the silicone rubber skirt for reinforcement. The single lens window also references the Frameless design, while also incorporating the tear-drop shape and high bridge of the dual-lens SubFrame. Where the Venom mask does differ from its predecessors is in the lens construction. Both the SubFrame and Frameless designs boast Ultra Clear glass technology, which we’ve also seen in some of the other masks reviewed here. Ultra Clear is aptly named, of course, but the Atomic has managed to go the extra mile with the Venom. Schott SuperWhite Glass, imported from Germany, is of even higher quality. These allow for even better light penetration, without increasing reflection and glare (provided you opt for a darker tone). As with other mask designs, the Venom brings the lenses closer to the user’s eyes. This broadens the already impressive field of vision and enhances clarity even further. It also allows for the easy integration of a one-hand nose well for ear pressure equalization. Atomic have kept to the tried and trusted tradition of the double-feathered edge silicone rubber skirt. The Venom also sports a wide-split strap, and the combination allows for a better fit and perfect seal. Easy-squeeze buckles have been soft-mounted on the skirt, which makes for easy adjustments and increased flexibility. Undoubtedly one of the best scuba gear options on our prestigious list, the Atomic Aquatics Venom Mask is sure to make almost any diver a very happy owner. While it lacks a true equivalent to the Tri-comfort technology of the Mares i3 or the ScubaPro Synergy 2 Trufit Twin Mirrored Lens Mask Trufit comfort design, the hybrid SubFrame / Frameless integration does offer a superior fit. Thanks to the German import Schott SuperWhite Glass optical lens, the Venom certainly does boast possibly the best visibility specs. The limited lifetime warranty on the frame, and limited 12-month warranty on the strap and silicone skin are also very appealing. The only real let down is that the lenses fog very easily, even when proper cleaning methods have been used. This is partially due to the close proximity to the eyes. However, the fogging does improve over time with consistent and proper cleaning. ScubaPro is one of the top names in scuba gear for a reason. Their new Synergy 2 Trufit Twin Mirrored Lens Mask is an innovative example of why the brand is so popular. The trademark Trufit ultra-soft skirt incorporates a unique rigidity that has been technically developed. This allows the mask to not only fit comfortably on every face shape but also ensures a perfect seal. The Trufit technology achieves this by using a single high-quality silicone rather than two separate materials. Two varying thicknesses are used instead. Near the mask’s frame, the silicone is thicker and firmer to provide support and rigidity and sports a matte finish. Where it contours the diver’s face, the silicone is thinner. This gives it a softer feel and allows the double-feathered skirt to mold itself against your face for a unique fit and perfect seal. Similar to the Mares’ Tri-comfort design, ScubaPro’s Trufit technology is easily identifiable by the unique ribbing texture. The ScubaPro Synergy 2 Trufit Twin Mirrored Lens Mask’s perfect seal is also achieved with the help of the wide-split style silicone rubber strap. An easily adjusted swivel buckle system makes finding the perfect fit even easier. For increased comfort, the one-hand nose pocket is easy to reach, allowing divers to equalize their ear pressure—even when wearing thick gloves. Where the ScubaPro Synergy 2 Trufit Twin Mirrored Lens Mask really stands out above most scuba gear is, of course, the lenses. The dual tempered glass in traditional reverse teardrop design was chosen specifically for increased vision and light intake. Ultra-Clear Mirrored Glass, which is a pioneering innovation in optical quality lens material, provides almost unparalleled clarity and a high light transmission. The green tint caused by iron impurities in standard glass has been removed, and as a result, the Trufit’s color rendition rivals that of the Hollis M1 Frameless Mask. Because the lenses are also mirrored, they provide added protection against glare when at the surface. Light reflection can be even further minimized by opting for a darker color scheme for the frame. The ScubaPro Synergy 2 Trufit Twin Mirrored Lens Mask is indeed one of the best scuba gear options available. Trufit technology, combined with the double-feather silicone design, rivals the comfort provided by Mares’ Tri-comfort technology. The Ultra-Clear Mirrored Glass optical lenses match the color rendition abilities of the Hollis M1 Frameless Mask. And because the lenses are mirrored, if you opt for a darker color the Trufit possibly exceeds the glare and reflection reduction of the Sherwood Onyx Mask and Snorkel. 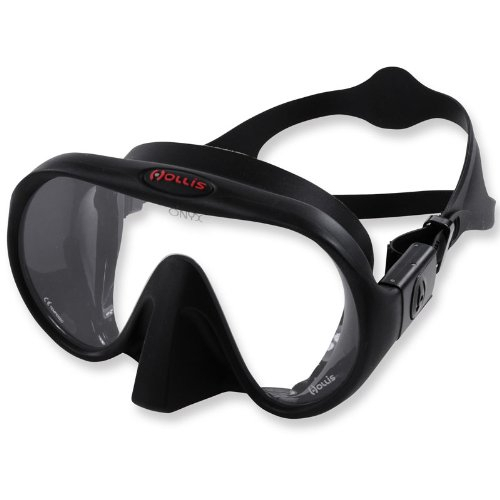 The Hollis M1 Frameless Mask has been hailed as providing everything a diver could ever want or need. While we feel this is a little overly optimistic, we have to agree that it’s a very attractive buy. The single-lens design allows for an uninterrupted field of vision. Optical Saint-Gobain Diamant Crystal Clear Glass has been used. Compared to standard glass, the Saint-Gobain Diamant has a lowered iron content. This allows for better light filtering by removing the green tint found in cheaper models, increasing visibility. Thanks to the Saint-Gobain Diamant lenses, the Hollis M1 also has a reduced color distortion, allowing divers to experience true color representation. The double silicone skirt sits comfortably on your face, and users with wider faces have reported that they’ve felt no need to sync the straps to prevent water leakage. Some users have also said they’ve been able to use the Hollis M1 Frameless without any defog. As long as you remember to give it a quick rinse before use, the mask doesn’t fog very easily. While not a low-profile mask (it does look a lot larger than most), the Hollis M1 does boast a reduced weight. The low internal volume also frees divers to spend less time equalizing ear pressure. Whether you’re looking for a new mask or not, we would certainly recommend giving the Hollis M1 Frameless a look. It’s become a go-to for many professional and casual divers alike, especially those with a wider face. 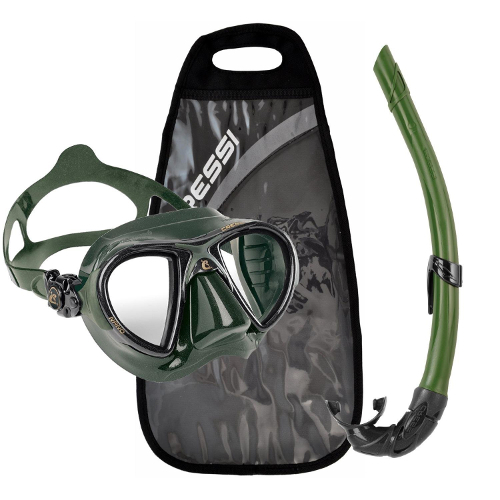 The Cressi Nano mask sports a frameless design, ideal for both scuba diving and advanced free diving. The mask’s shape is incredibly compact, allowing for extreme hydrodynamics so you can easily cut through the water and maneuver in small areas. Internal volume is minimized to the point where intentional equalizing is no longer strictly required. 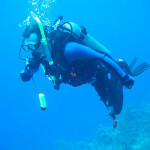 Some divers report not needing to equalize their ear pressure at all! The anatomical strap is designed to fit the around the head comfortably. Swivel buckles allow for improved micrometric regulation, allowing you to adjust the strap perfectly. Thanks to the angled, tempered glass lenses, visibility is crystal clear. The Cressi Corsica snorkel is a new design dedicated specifically for deep fishing and free diving, incorporating high technological innovation. The snorkel tube’s characterization is largely created by the unique use of special polymers. These have an excellent shape memory, allowing the tube to bend against objects as necessary and easily spring back into place. Any feeling of discomfort is minimized greatly thanks to the special anatomical shape of the mouthpiece. 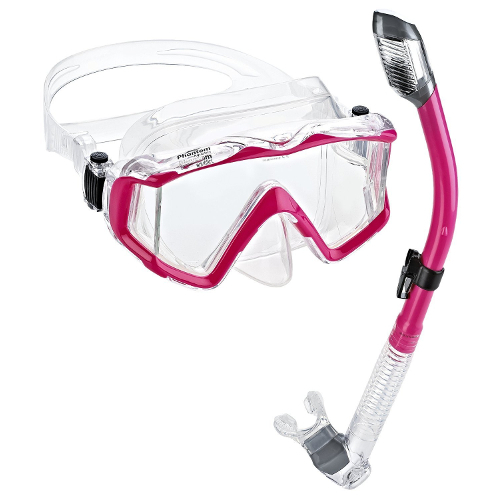 Thanks to the hypoallergenic silicone used, the snorkel can be comfortably used for longer than most other models. The dry top also prevents water intake. The mask itself is also ideal to keep as a backup if you’re not ready to replace your current one. The Cressi Nano mask fits perfectly into BC pockets for easy, convenient storage. If you’re a diver that enjoys and appreciates innovative technological design, then the Cressi Nano Mask and Corsica Snorkel are certainly among the best scuba gear 2017 has to offer. All in all, it’s a great option for anyone looking to keep a backup mask conveniently stored in your BC pocket. Whether it’s because you’re not quite ready to let go of your old mask yet, or because you enjoy your Cressi Nano so much you bought a second one, the compact design is sure to satisfy your desires. Mares makes a second appearance on our list of the best scuba gears of 2017 with their X-VU Liquidskin Sunrise Mask. Like the i3 Sunrise Mask, the X-VU Liquidskin is dedicated to the Asiatic target market but is suitable for anyone with a wide face structure. Mares’ R&D and Design sections conducted several computer simulations to study facial shapes to optimize the design. Designed after the X-vision model, the X-VU is a pioneering two-lens scuba mask incorporating Liquidskin technology. The natural comfort of the Liquidskin skirt is supplemented by an additional silicone layer injected into the nose area. This acts as an anti-shock bumper, similar to the i3’s tri-comfort design but using a different method. The tri-comfort factor does feature, with horizontal ribs molding the frame around the forehead. 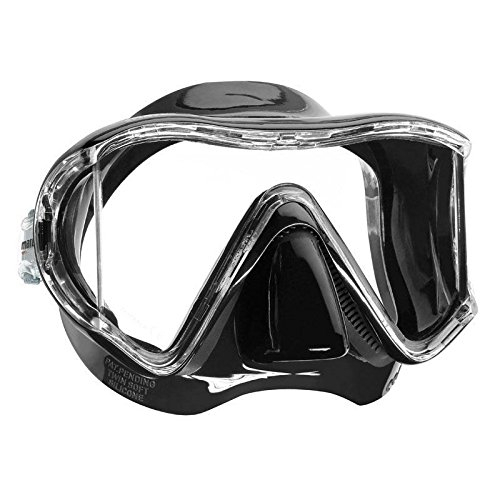 The X-VU Liquidskin scuba mask also incorporates Mares’ innovative two-button buckle. These are attached to the skirt, generating superior hydrodynamics. The already impressive field of vision is expected to be enhanced even further with optical lenses by the end of the year. The bi-silicone exclusive Liquidskin technology allows for a firmer support structure, while the skin allows for 45% softer contact. This also results in 270% increased elasticity, for improved comfort. Because of the buckle placement, pressure against the face is further reduced by directing the strap’s tension to the skirt rather than the frame. The double feathered skirt edge makes for an improved seal, and the easy-squeeze nose well allows for one-handed ear pressure equalization. Mares have kept themselves at the fore in scuba gear design and technology. Serious divers will most certainly appreciate the ergonomic design and improved comfort of the Mares X-VU Liquidskin Sunrise mask. While the visibility is already quite impressive, if you prefer optical lenses you may want to wait for the end of the year. Similar to their i3 Sunrise Scuba Mask, the X-VU Liquidskin is dedicated to those with a wider face structure. Designed particularly for Asians, the target market is somewhat exclusive. However, anyone finding other scuba masks too narrow for comfort would certainly benefit from the i3’s design. 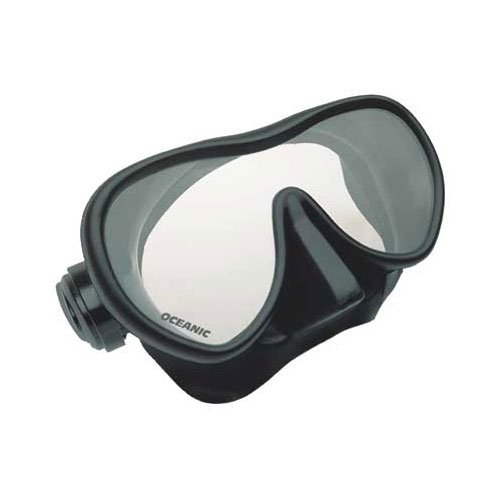 The Oceanic Shadow scuba mask range is well-known as a favorite among reviewers and professional divers. Thanks to the all-silicone skirt and sleek frame, the Oceanic Shadow Frameless Mask adapts to the shape of the user’s face over time for maximum comfort. The open design creates a wide field of vision. Because the glass lenses are also placed closer to the eyes, improving general visibility. 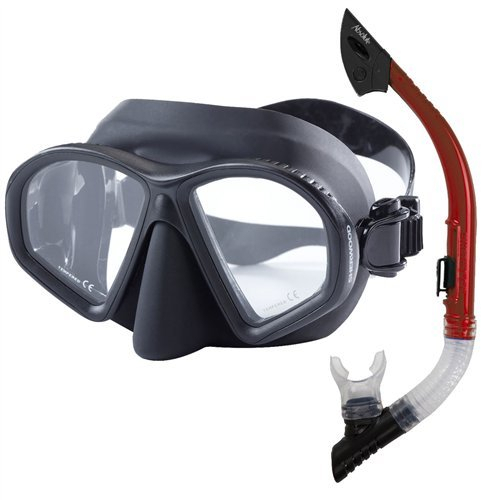 Users have mentioned that the model tends to fog up easier than other scuba masks for this very same reason. However, we were also able to find the best way to prevent this! 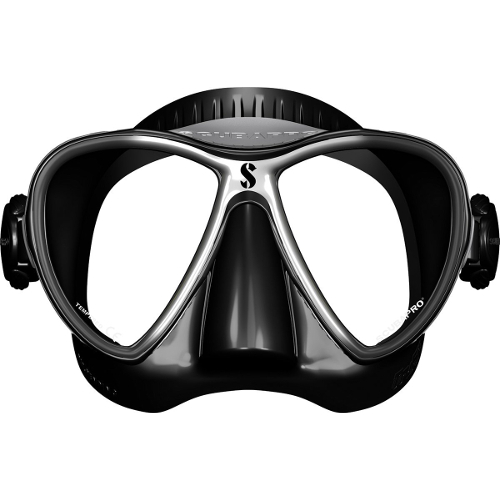 Whether you’re a casual or professional diver, the Oceanic Shadow Frameless Mask is an ideal fit. The shortcoming of becoming easily fogged is circumnavigated by proper washing. Using a soft scrub, wash rigorously for 1-2 minutes 6 or seven times. Coat the inside of the lenses with baby soap, and leave to dry. Before diving, pour some fresh water over the lenses. Swirl until the baby soap streak have been smoothed out, and you’ll have no fog! The Mares i3 Sunrise Scuba Mask supplements the company’s trademark Sunrise design with Tri-comfort technology. This assists in absorbing and redistributing the natural pressure exerted by the mask to boost comfort levels. Smaller side panels compliment the wide central lens, mimicking a panoramic vision field. The strap is also designed to be easily adjustable, thanks to two-button buckles. Even if you’re diving with thick gloves, the ergonomic design allows you to secure your strap efficiently. Comfort is once again assured thanks to the x-shape of the strap. While many diving masks are best suited for slimmer faces, the Mares i3 Sunrise Scuba Mask is dedicated to those with a wider face structure. Designed particularly for Asians, the target market is somewhat exclusive. However, anyone finding other scuba masks too narrow for comfort would certainly benefit from the i3’s design. Have you ever wondered why professional scuba divers usually stick to black? Lighter colors tend to reflect surface light on the inside of the lens, which can distract the diver. Darker tones don’t have this same problem. This is especially important for spear fishermen. Sherwood Onyx is known for their low-profile design and matte black finish, making their range perfect for the professional diver. With a great field-of-vision and clear lens, as well as the unique push-button buckle strap, you’ll wonder why you didn’t buy one sooner! Sherwood Onyx has also brought back the classic J-style snorkel design. The contoured tube will hug the shape of your head for improved hydrodynamics. When you switch from snorkel to scuba regulator, the corrugated lower tube falls away from your face. The snorkel keeper is easy to attach and detach as you desire. 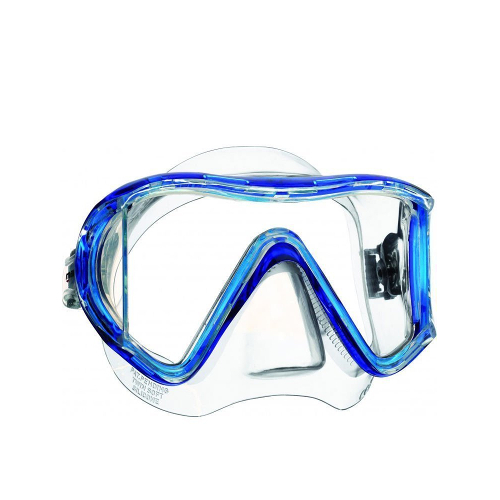 Sherwood Onyx knows what professional divers are looking for in a mask and snorkel. Their range aims to meet every desire, and are a pleasure to wear. If you’re a spear fisherman especially, you won’t go wrong opting for this set! 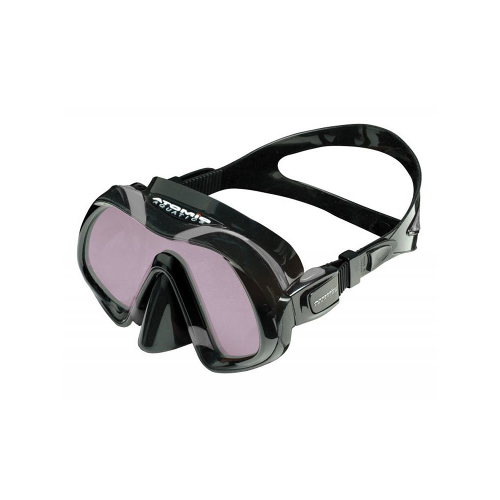 The Phantom Aquatics Panoramic Scuba Snorkeling set forms part of the new Panoramic View Metallic range. Enjoy a crystal-clear view through the patented single-lens design, with seamless side windows. The double-sealed silicone skirts allow for comfortable wearing for long periods. The Phantom Aquatics Dry Snorkel incorporates innovative designs to help keep water out of your tube, both on the surface and when submerged. The hypoallergenic silicone mouthpiece makes for a comfortable fit, and the bottom purge valve clears water from the bottom well. Thanks to the flexible tube design, you can enjoy resistance-free swimming for hours! If you want to have an uninterrupted view of the aquatic life and scenery, then the Phantom Aquatics Panoramic Scuba Snorkeling set is the best scuba gear for you! When it comes to comfort and functionality, Phantom Aquatics Products have outdone the rest.